Ex Hot Girl: No Fatties Allowed! That's the way things are going in Japan, at least. And not just by fit buff-heads standards. By law. This is kind of old news, but since I've been getting into talking about government involvement in health, I thought I'd revisit it. Also, if you hadn't heard about it, I'll share it. 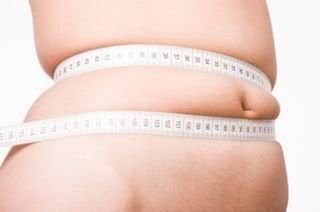 Under Japanese law, men are expected to have a waist measurement of 33.5 inches, women, 35.4 inches or less. Corporations and the government are expected to do their share and will suffer financial penalties if they are unable to decrease their obese populations by 10% in the next four years, and by 25% in the next seven years. Large companies stand to lose millions of dollars in fines if their employees don't slim down. Patients whose waist measurements are greater than recommended and have an illness that can be attributed to obesity will be given "dieting guidance" if they do not show progress toward a smaller measurement within three months. At six months they will be directed toward continuing education about obesity and weight management. So. Corporations will actually be penalized if they don't follow this guideline. Imagine if the company you worked for put this into place. I used to work for Equity Residential. They require a health assessment for all employees in order to be eligible for health benefits the following year. If you're found to be a health risk in any area, you are assigned a "Wellness Coach" who calls you on a regular basis and gives you tools to change your problems, whether it's smoking, stress, weight, whatever. Granted, it wasn't the worst thing; you just went online and did this little test. I was overweight and my Wellness Coach called and asked me all kinds of questions, to which I had the answer and the solutions. My coach was surprised and actually said, "Wow, it sounds like you really know your stuff." I just said, "Yeah, I've lost and re-gained weight several times - I know how to take care of it, I just get lazy." For someone who had no idea how to fix their health problems it might have been a good thing. For me, it was only an annoyance. I just wonder how far the U.S. is from this kind of legislation. It's obvious that our obesity epidemic is far worse than that in Japan. Why has Japan done it, and why hasn't the U.S. done it? The problem in the USA is that the food industries are too well-represented in the government. The real truth about nutrition and health never reach the public because the dietary guidelines are influenced by industry. I'm not being an alarmist or a conspiracy theorist when I say this - it's well documented! Scientists like Dr. T. Colin Campbell, author of The China Study, have described nutritional policy making, and how it's perverted by industry stooges, in detail. In America, profits are more important than health and the truth! That is why it's up to the individual to do their own research and find out what the scientists who are not connected to any industry groups have to say. Frankly, I don't want the government in my life, and I certainly don't want it dictating how much I should weigh. If we keep inviting them into our homes, and letting them take away more and more of our freedoms, we will be oh so sorry. I already am.